Preserving and proclaiming the Harry Miller, Fred Offenhauser, and Leo Goossen 1917-1945 racing engines and automobiles. New Miller memorabilia for sale - featuring the original team colors and emblem. Click on pic to buy. A vintage race car site dedicated to the race cars and racing engines of Harry Miller, Fred Offenhauser, and Leo Goossen. Rare, but occasionally seen at historic and vintage auto races, these cars dominated the Indy 500 and board tracks of the 1920s and 1930s. This site features the history of Miller and Offenhauser racing cars and engines, an extensive listing of Goossen technical drawings, a photo and sound gallery, a listing of recommended books, links, and calendar of Miller related events. 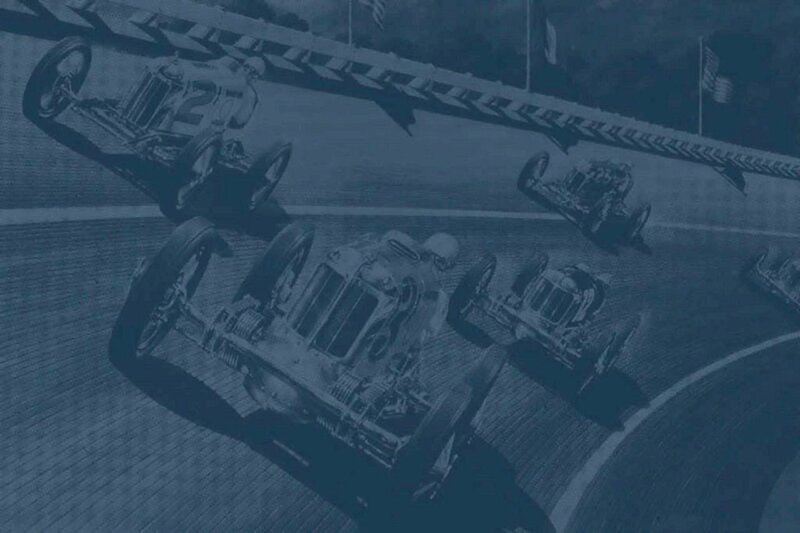 It is the official site of The Miller/Offenhauser Historical Society. Miller, Offenhauser, Goossen, Offy, race, ,car, vintage, historic, Indy 500, engine, 91, 122, 183 ,DOHC, 8 cylinder, front drive, board track, boat, oval, Frank Lockhart, Mark Dees, Griffith Borgeson, Gordon White. Miller, Offenhauser, Goossen, Offy, race, car, vintage, historic, Indy 500, engine, 91, 122, 183 ,DOHC, 8 cylinder, front drive, board track, boat, oval, Frank Lockhart, Mark Dees, Griffith Borgeson, Gordon White. Miller, Offenhauser, Goossen, Offy, race, car, vintage, historic, Indy 500, engine, 91, 122, 183 ,DOHC, 8 cylinder, front drive, board track, boat, oval, Frank Lockhart, Mark Dees, Griffith Borgeson, Gordon White.